Pop-ups experienced a renaissance in the 1930s and 1940s, thanks to S. Louis Giraud in London. 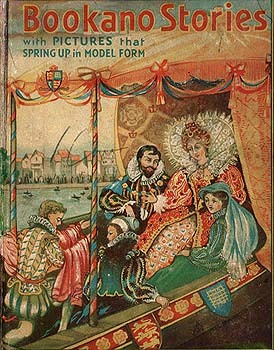 While editor of children's books for the newspaper, Daily Express, Giraud produced a pop-up annual by the same name. 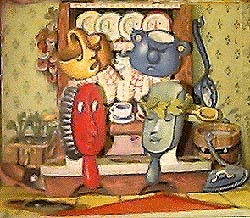 After he left the newspaper, he continued the series under the title Bookano Stories, which ran for seventeen years. His books were referred to as "living models" because each scene unfolded in a double-page spread, which was designed to be viewed from multiple angles. Another attraction, according to Peter Haining in his Movable Books, was that "not only did the figures stand up as the pages were opened and closed, the figures appeared to continue their movements" after the book was opened. Daily Express Children's Annual No. 2. London: Lane, [1930?]. Click on the Daily Express cover to view a pop-up video. Bookano Stories No. 4. London: Strand, [c1937]. Click on the Bookano Stories cover to view pop-up videos. Blue Ribbon Publishing and paper engineer Harold Lentz teamed up in the 1930s to produce a successful series of imaginative pop-ups. Many of the books' colorful characters were inspired by the recent popularity of Walt Disney animation. 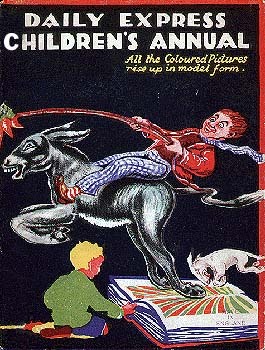 Notably, Blue Ribbon was the first publisher to market their books using the term "pop-up." Puss in Boots. New York: Blue Ribbon, 1934. 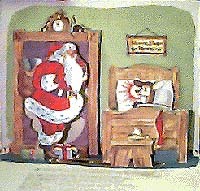 Harold Lentz, Paper Engineer; C. Carey Cloud, Illustrator. 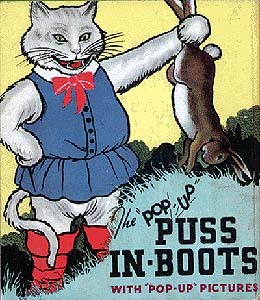 Click on the Puss in Boots cover to view a pop-up video. The Pop-Up Buck Rogers. Bedford, MA: Applewood Books, 1994. Facsimile of the original, published in 1935. Marion Guild. Rudolph the Red-Nosed Reindeer. London: Publicity Products, 1939. Voitech Kubasta was an artist for Artia, a state-run import/export company in Prague, which marketed books through Bancroft and Company of London. Kubasta, an architect by trade, began experimenting with paper in the 1950s. He combined his talent for paper engineering with an interest in fairy stories to create an estimated seventy pop-ups for Artia in the 1950s and 1960s. Artia distributed thirty million copies in thirty-seven languages of Kubasta's popular creations. Der fliegende Koffer. Hamberg: Artia, 1962. Haunted House. New York: E.P. Dutton, 1979. Paper engineering by Tor Lokvig. 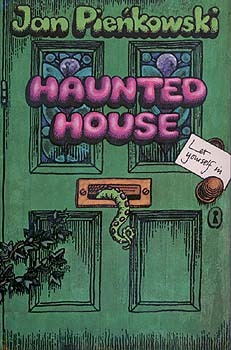 Click on the Haunted House cover to view a pop-up video. Robert Sabuda. The Knight's Castle. New York: Western, 1994. 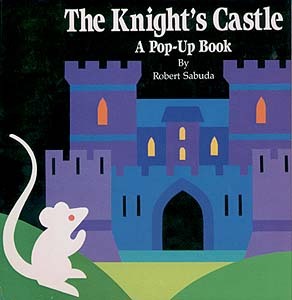 Click on The Knight's Castle cover to view a pop-up video. The Creation. Brookfield, CT: Millbrook Press, 1996. Written and illustrated by Brian Wildsmith. Designed by Jim Deesing. Paper engineered by Bruce Reifel and Jose R. Seminario. 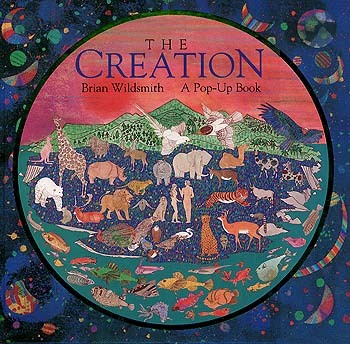 Click on The Creation cover to view a pop-up video.